Home / Surfboards / What Size Surfboard Should I Get? 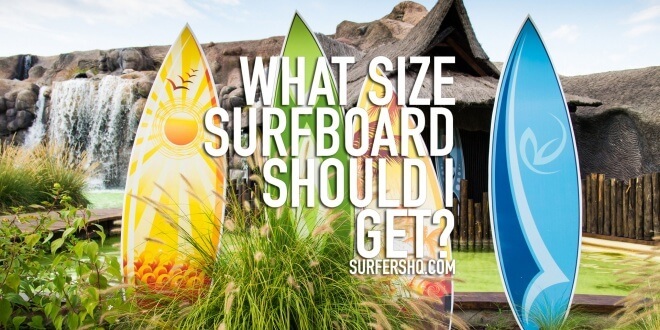 So you have decided to take the plunge and get your own board, and you might be wondering “what size surfboard should I get?” – well hopefully this handy guide will help you make a decision! 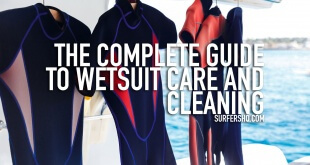 Please bear in mind that this is just a little bit of basic, general guidance and if you want some detailed specific advice, it is always advisable to go into a surf shop and speak to someone who can help guide you with your specific details. How Do I Know What Size Surfboard I Need? As a general rule of thumb, if you are learning to surf or a beginner, a bigger board is better – that means longer, wider and thicker. These boards are easier to paddle with, and more balanced in the water so while you are still learning the basics, they give you a relatively solid platform to work off of. 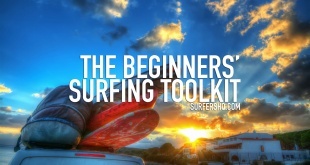 In our beginners surfboards guide we say 8 or 9 feet in length would be ideal and at least 3 inches thickness. Surfboards are built with a certain level of flotation, usually called its volume – which is usually based on the dimensions of the board. Generally, there is a bit of a trade off. A board with a higher volume will be more stable in the water and great for beginners, but it won’t be as manoeuvrable, which if you’re getting to intermediate or advanced stages, is not ideal. 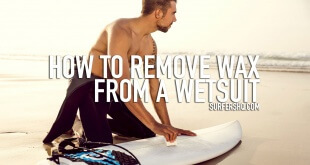 Similarly, lighter and shorter surfers will be able to get away with a lower volume than bigger and heavier surfers. This point is basically for if you are planning on using one board for a while and aren’t planning on building up your own quiver – if you are, then the right size surfboard will be entirely dependent on what you’re currently looking for! For those of you sticking to one board, for the occasional surf – maybe once every couple of weeks or so – then you can probably get away with a longer, thicker, beginner friendly board for quite some time. However if you are going to make it a weekly (if not more often!) thing, then you will probably advance quite quickly and you’ll want a board that is still pretty good for beginners but can be used when you get to intermediate as well. For beginners we usually recommend 9 feet boards, but if you are going to get up to intermediate with one board, 7 or 8 feet will be fine. Different boards are designed for different conditions so if you are going to be surfing somewhere with an inconsistent, low swell and fairly gentle waves, you’ll need something very different to if you are going to be surfing somewhere with waves that get up to 5-6-7-8 feet high! It isn’t a massive factor in choosing your board – the giant ‘realm of anything’ in the middle sums that up pretty well – but in very high or very low waves, it can make a big difference. 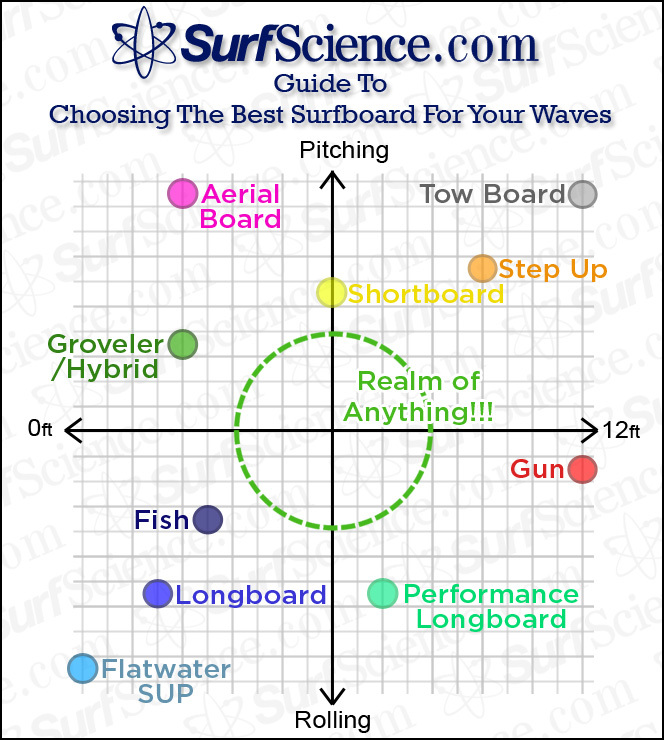 There is a pretty helpful video guide on choosing the right surfboard as well, which I have included below. 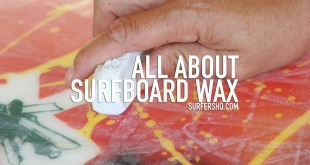 It goes into a lot of detail, and covers design, volume and dimensions of surfboards so it is worth watching!